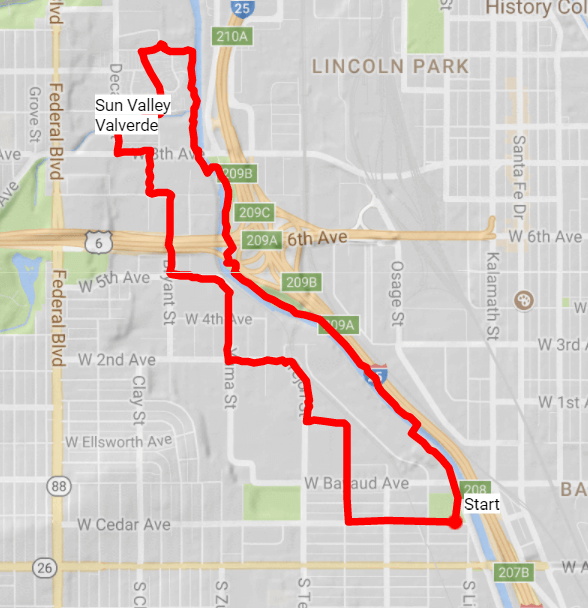 Sun Valley and Valverde sit next to each other on the west side of Denver along the Platte. There’s a lot going on in these two neighborhoods. 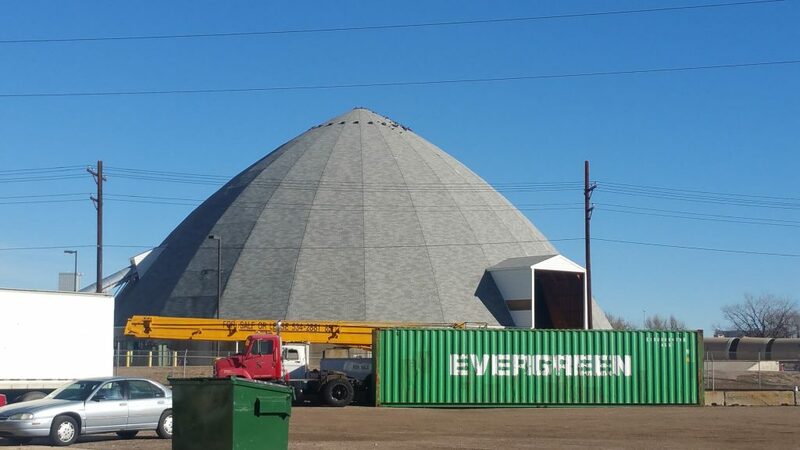 From large commercial cold-pack freezers to large income-qualified neighborhoods, walking through these two areas is not like anywhere else in Denver. Sun Valley’s boundaries are W 20th Ave, W 6th Ave, Federal and the Platte River/I25. Valverde sits south with the same west/east boundaries, W 6th Ave is the northern boundary and W Alameda as its southern boundary. We walked 4.5 miles through this very interesting pair of neighborhoods. 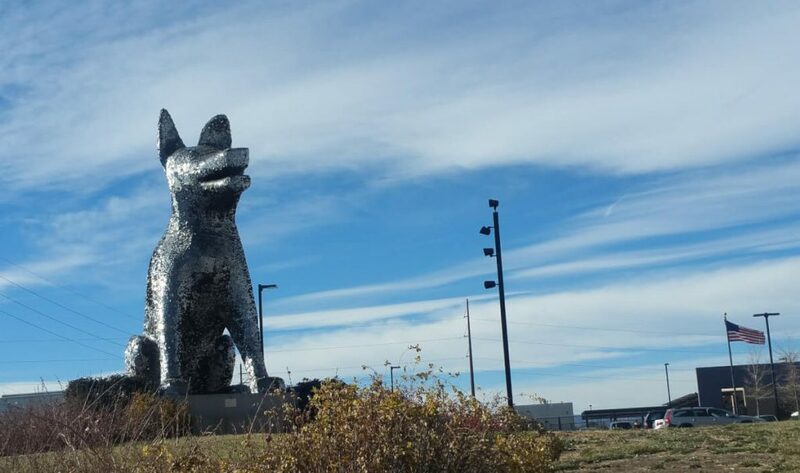 This is an interesting day hike near Denver, in fact it’s right IN Denver. Sun Valley has mostly income-qualified homes. Most of the residents in Sun Valley rent; the remaining homes are mostly those that survived the 1965 flood that took out most of the neighborhood. The Weir Gulch runs through the neighborhood, ending its long east-west meander into the Platte River. In the northern area of the neighborhood falls the Lakewood Gulch, which also empties into the Platte. Between the two, the City wants to redevelop the entire area. Some are calling Valverde the next RiNo. The City wants to rebuild the neighborhood to include a mixed-income residential area similar to other redevelopments. The residents will be offered the chance to live in other income-qualified housing or be given vouchers. The new units will have both market-rate pricing and workforce housing. Regardless of what happens, Sun Valley is the place to watch. In the meantime, south of Sun Valley is the food basket of Denver, Valverde. Once the land of celery and wheat farms like its southern neighbor, Athmar Park, Valverde is now where Denver’s food distributes. Giant warehouses and their accompanying semis move turkeys, chickens, mushrooms, popsicles, Mexican food, and almost every other food in and out of freezers into their local retailers. Walking through Valverde awakens every smell you could think of–from sriracha to white bread! When doing this 4.5 mile walk, be sure to follow basic pedestrian walking laws. Where there are no sidewalks, walk against traffic. With the large semis traversing the area, rails crisscrossing the warehouses, and many intersections, keep your eyes open and have a blast. Park at Valverde Park; the closest address is 1237 W Cedar Ave. Walk west to Raritan St. Take a right. At W Irvington Pl, take a left. Take a right at Tejon St, being careful to walk against traffic. Tejon turns into W 2nd Ave. At Yuma, take a right. Follow Yuma as it turns into W 5th Ave. At Bryant St, take a right. Go under 6th Ave. You’ll exit Valverde and enter Sun Valley. At 7th Ave, take a left. At Canosa St, take a right and then at W 8th, take a left. Go north on Decatur. Right before you get to the Sun Valley homes, you’ll see a black asphalt trail going to your right. This is Weir Gulch. Walk on it just a hundred feet, then veer to your right. You’ll be walking on the sidewalk between the Gulch and Sun Valley Homes. Take a left on Bryant St. Walk through the neighborhood, and then take a right on W 11th Ave. 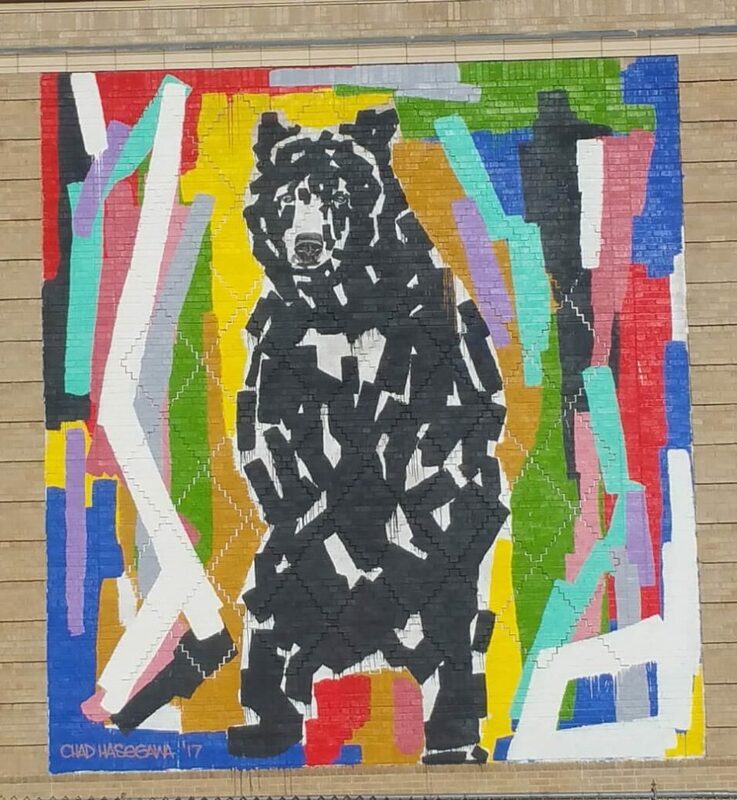 Enjoy the public art on the south and east sides of Fairview Elementary. Take a right on 11th, walking towards the Platte. At the Platte, take a right. You’ll cross where the Weir flows into the Platte. Continue along the Platte River trail, taking each bridge as it comes along. You’ll cross the Platte once, pass the old Denver Water building, and then you’ll cross the Platte again. After the second bridge, you’ll arrive back to where you started after passing Sun Spot, the large public art installation of a dog in front of the animal shelter.